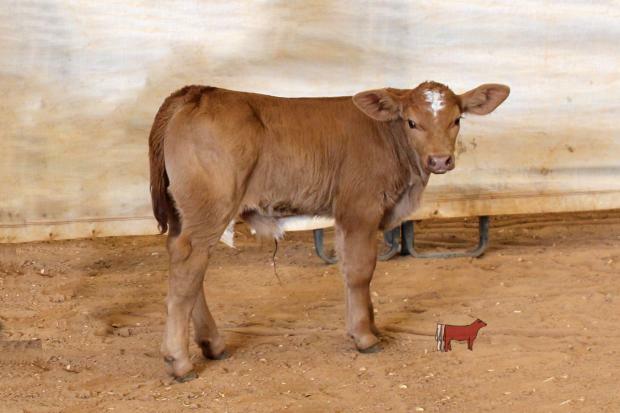 This is a first calf heifer with a bull calf at side, out of a red Simmental bull named Red Dream, for a 3/4 x 1/4 Simbrah. Sweet Star 5Y's sire goes back to LM Full House. 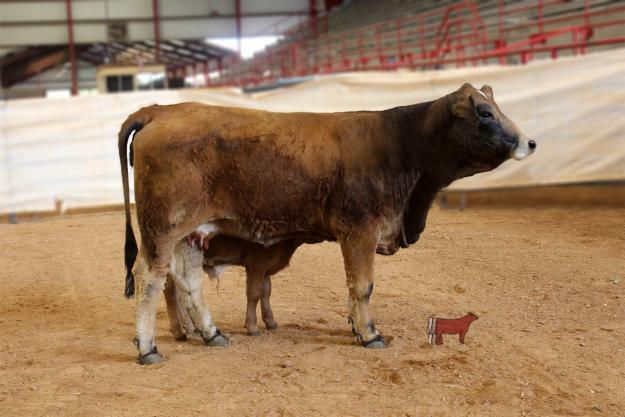 The Dam was a very successful show heifer. 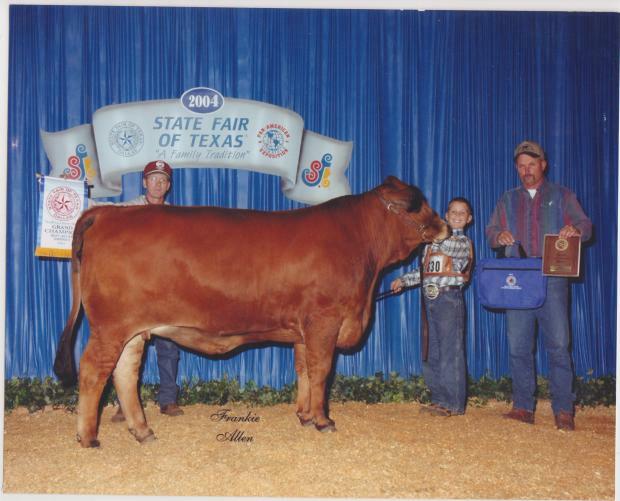 She was the Champion Heifer at the State Fair of Texas Open show and Reserve Champion at the San Antonio Junior show. Don't miss this young pair. For more information call 972-924-3725. Consigned by Powell Simbrah.